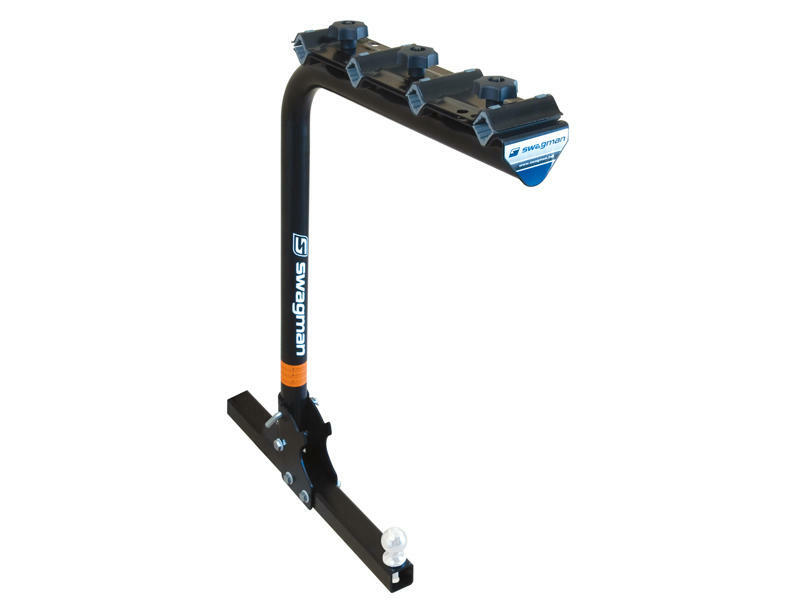 The perfect solution to carrying up to 4 bikes while towing your personal watercraft, boat or trailer. Maximum towing capacity 3500 lbs, maximum tongue weight 350 lbs. Do not exceed manufacturer's hitch rating.